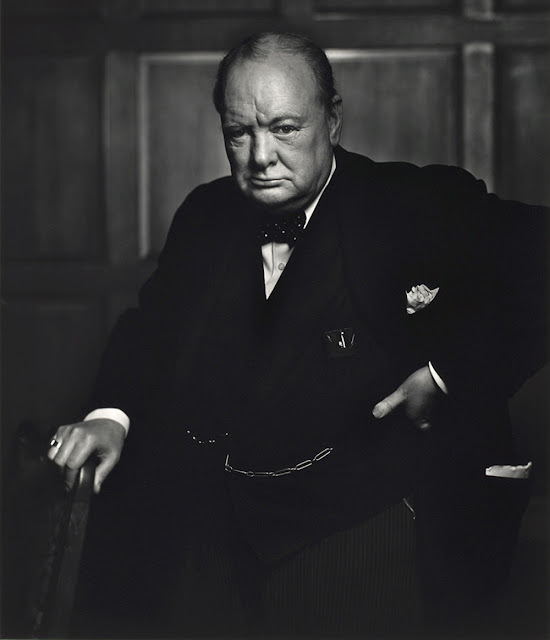 A few years ago, an English visitor to my parents' home paused to scoff at an American edition of a book (I think it was The Gathering Storm) which displayed the author's name as Winston S. Churchill. "Why the S?" he asked incredulously. "The British Churchill, upon becoming aware of the American Churchill's books, wrote to him suggesting that he would sign his own works "Winston S. Churchill", using his middle name (actually part of his full surname, "Spencer-Churchill") to differentiate them. This suggestion was accepted, with the comment that the American Churchill would have done the same, had he any middle names." A fine example of Anglo-American cooperation - bel esprit de corps if you will. That's a jolly fine show from both chaps indeed! You have to wonder, as the American Winston Churchill was so successful in his time, would he be better remembered to posterity if he had a different name? I don't know about the US, but in Britain no one would ever ask 'Which Winston Churchill are you talking about?' If that's true (and I don't know if it is), it's rather sad. Oh, the American one is almost totally unknown over here too, even with that name.